I <3 summer! 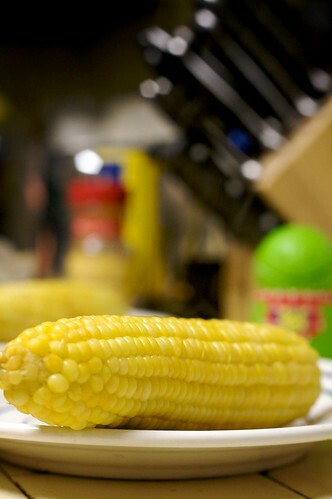 Time for some grillin’ and chillin’ and fresh corn the cob! Not to mention yummy melons and nectarines. For dinner tonight along with this corn, we had some grilled chicken legs with BBQ sauce and Honey Mustard sauce. We also cooked up some Stove Top stuffing with extra celery, carrots and onions added. I tried to snap a photo of the steam coming off from the corn, but didn’t quit get it… oh well, i remember it being there!